Balikbayan #1 has nothing remarkable for the average Filipino moviegoer, provided he actually gets the unlikely opportunity to watch it. The film would probably come across as a bad movie even, given the Hollywood-satiated audience’s expectations of a ‘movie’: thrilling, spectacular, and highly entertaining. This is a sad assessment that unfortunately rings true for many of the Filipino films simply called indie. 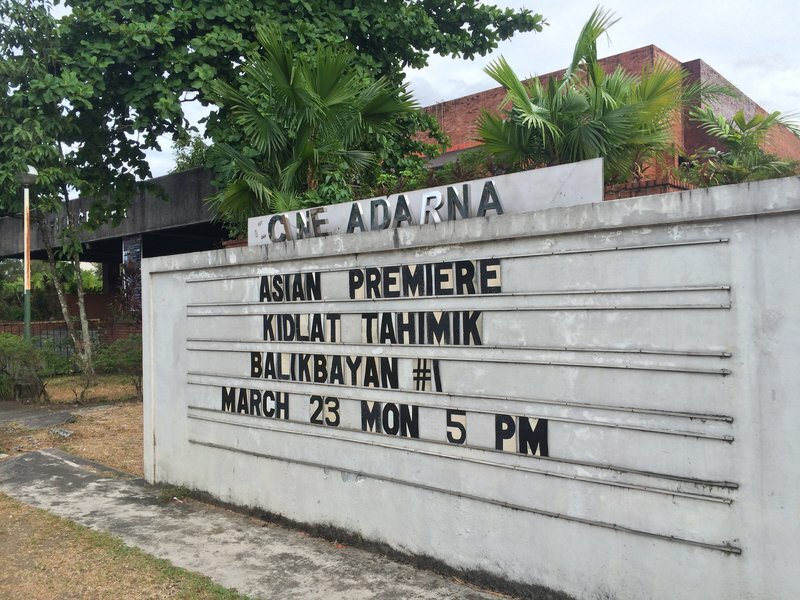 Ironic, given that Kidlat Tahimik is widely recognized as the father of Philippine independent cinema. And here we could nod in agreement before moving on to the next spectacle if it weren’t for a crucial difference: Balikbayan #1 is actually mildly entertaining for its would-be Filipino audience, and this audience wouldn’t even have to know film art to be able to grasp it. There is an even remoter possibility that Enrique was a native of the Philippines. This is where Kidlat picks up the tale before spinning it into the blithe storytelling that is Balikbayan. There is no regard for historical accuracy here, nor for logic, not even for the conventions of narrative films. 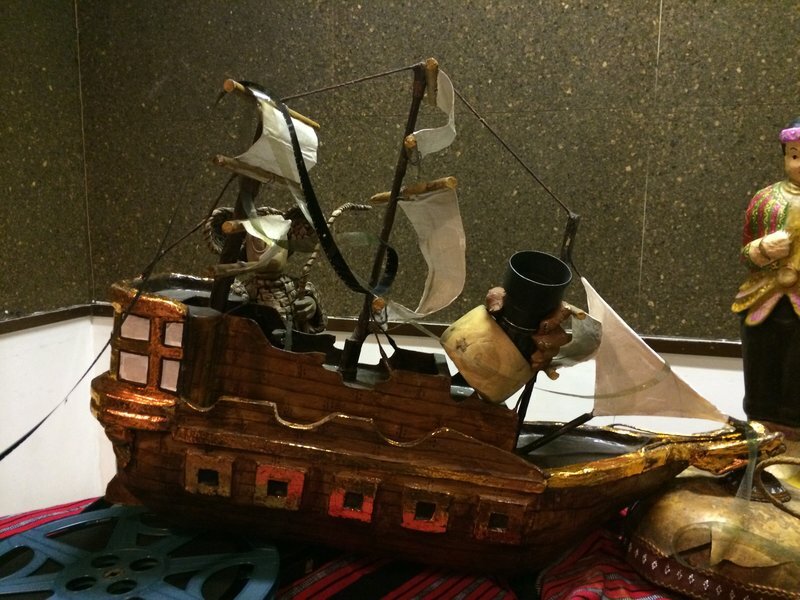 In Kidlat’s story, Enrique is an Ifugao who was blown by strong winds from the Cordilleras all the way to the Visayan seas, where he was captured as a slave by pirates; in Malaca, after a quarrel with his Malayan master, he hid inside a wooden chest which a furniture-shopping Ferdinand Magellan bought, and thereby acquired himself a slave for just the price of one furniture; in the royal courts of Spain, Enrique endeared himself to a melancholic, autistic princess, and after a sensual scandal the king was only too happy to send Ferdinand Magellan and all his slaves and crew as far out west as they could reach. Balikbayan #1 is a string of such whimsical, playful tales—whimsy with a distinctly Filipino flavor, playful with the ingenuity of drunk men’s kwentuhan on the neighborhood sari-sari store. It is ridiculous, true, but Filipinos will praise its lightheartedness. Kidlat shoots his films without scripts, believing in the mantra “Bathala na.” The haphazard creation can be construed as either trashy and confusing, probably by snobby pundits, or as brilliant and novel, by those willing to suspend their regular expectations of films. Of course we sympathize with the latter. At least twice in the film, tribute is paid to the late novelty singer Yoyoy Villame, whose song Magellan the film’s characters hails as a profound history lesson. Yoyoy is the country’s best history professor, they jest, and he should be a National Artist, they say. Perhaps they were not joking at all. Thinking about it, Kidlat’s films are closer in spirit to Yoyoy’s songs than to the classy, conformist films of younger indie filmmakers. Kidlat’s films all possess a light sense of humor that resonates well with the popular Filipino world-view. The English adjectives whimsical, lighthearted, and humorous do not even give it justice: Balikbayan #1 is best described in the vernacular, as makulit, sabaw, and kenkoy. Kidlat does incorporate some of the storytelling that contemporary viewers might take as Western and modern. Balikbayan #1 is largely composed of scenes shot from two distinct periods (and using vastly different camera technologies): one is from the 1980s, covering the advertised story of Enrique’s travels, while the other scenes were shot mostly around 2013 and comprise a story set in Baguio and Ifugao that relates to the Enrique-Magellan journey in oblique ways. The 1980s scenes are complete with costumes and sets, and have characters played by Kidlat’s foreign friends; the contemporary scenes are nearly autobiographical and closer to documentaries in character, with characters played by Kidlat’s family and Filipino friends. It is in the contemporary scenes where Kidlat employs more conventional narrative techniques to tie the thread with the Enrique-Magellan storyline. While Balikbayan starts quite clearly with the story of Enrique’s travels, the coherence breaks down towards the end, partly as a result of the highly disparate footages used to construct the film. At this part, scene after scene of half-narrative, half-documentary take over the narrative, tacked on one after the other like a poorly-planned government infrastructure project. Does it matter? Probably not for Kidlat, who’s simply following his “sariling dwende,” to use his own words. The blissful incoherence can only become a bigger part of the film, as Kidlat does not plan to ever finish the project. He says he will continue adding to it and changing it, the film becoming his life’s work in a deeper sense. The film that premiered at Berlinale in February 2015 and at UP Diliman in Quezon City the following month was only a version, a snapshot of a never-ending work. How does one measure, describe or categorize Balikbayan #1 then? There are many candidate labels, no doubt: postmodern, camp, maybe even surrealist if that’s how it feels like to the audience. However, if the audience can relate to it, and understand it without needing to know the label, then it’s probably irrelevant. For that reason, I propose to simply describe Balikbayan #1 as a Filipino indie film, a quintessential one. 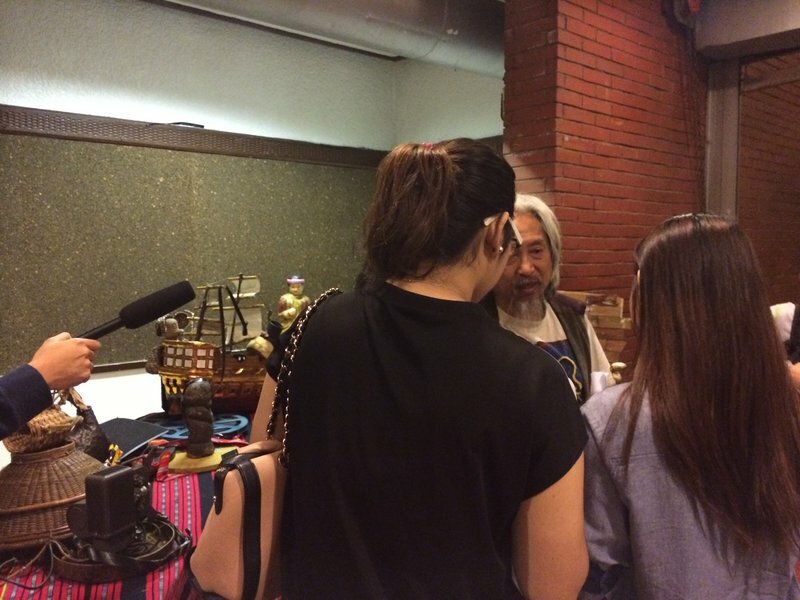 It would be very appropriate and elegant for a work by Kidlat Tahimik.